Now that summer is in full bloom with Summer Solstice, we’re taking in it’s warmth by making some fun yarn weavings in the shape of a sun. The sun is shining, even here in Seattle, so that is cause for celebration with this hot and sunny season! 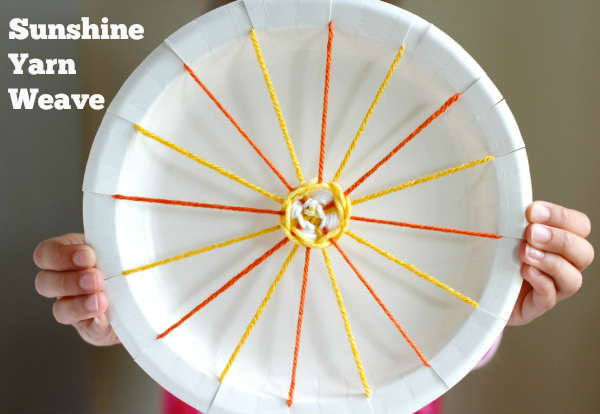 Using paper plates and yarn, make a super sunny display! These make any day bright and cheery. Find the full instructions for this Summer Solstice Yarn Weave over at Seattle’s Child Magazine. Be sure to visit their Making Home section for family-friendly ideas!